Red silk Violeta Midi gown from Bambah featuring shoulder straps, a full shape skirt, a bow detail and an embroidery with metallic embellishments. 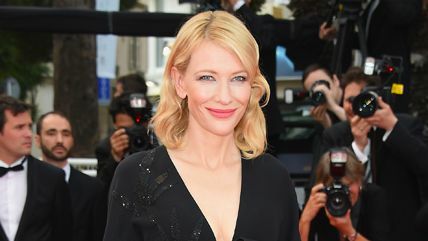 See the best gowns to hit the red carpet at the 68th Annual Cannes Film Festival. Red silk blend Violeta tunic from Bambah featuring a round neck, a back zip fastening, a sleeveless design and a straight hem. Red silk blend Violeta pencil skirt from Bambah featuring a high rise, a back zip fastening and a mid-length. Blue Bluestar midi dress from Bambah featuring a bustier top, a fitted waist, a flared skirt and a mid-length. Light purple silk Bow gown from Bambah. Yellow silk Sunshine gown from Bambah. Bambah Full Midi Skirt - Olive green silk full midi skirt from Bambah. Material:Polyester. Dark purple silk Balloon gown from Bambah. Mustard silk mermaid gown from Bambah. Silver-toned silk Argentina gown from Bambah. Bambah Layered Midi Skirt - White lace layered midi skirt from Bambah. Material:Polyester. White lace layered midi skirt from Bambah.